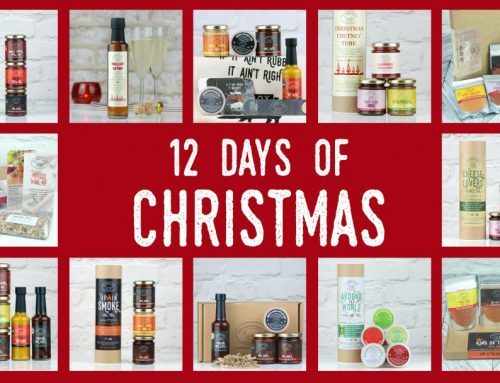 …But Christmas should not need to be stressful; plan ahead, start early, make a list, set a budget and don’t over do it. 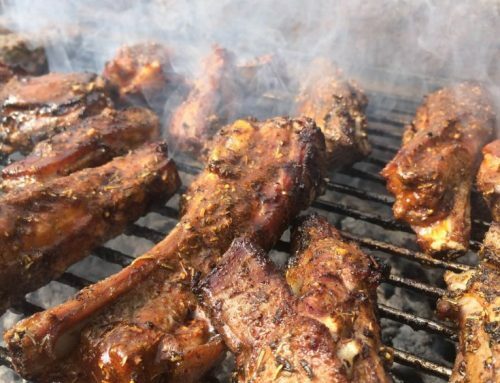 Remember it’s not about flashing the bling, but spending time with family and loved ones while reflecting on the year gone past, while enjoying some amazing food and drink of course. 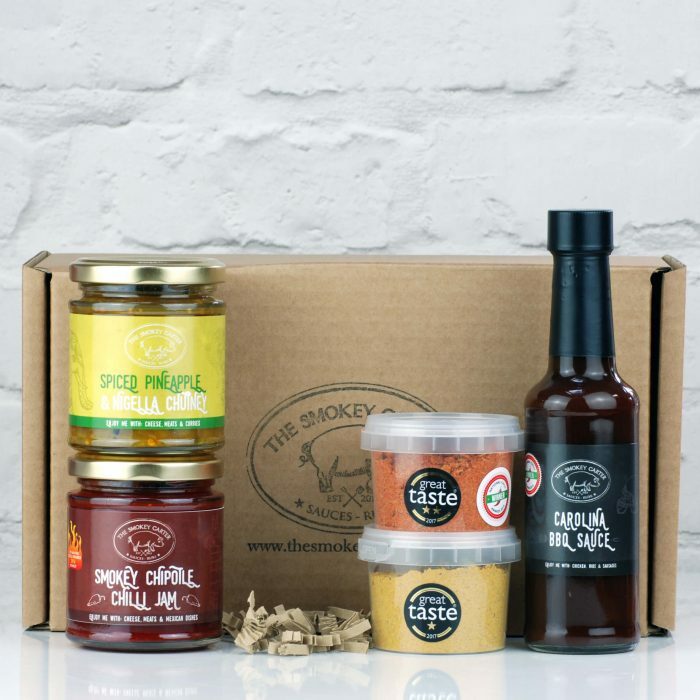 Christmas is coming and here at Smokey HQ, we have designed a whole gift range to suit every budget and taste. 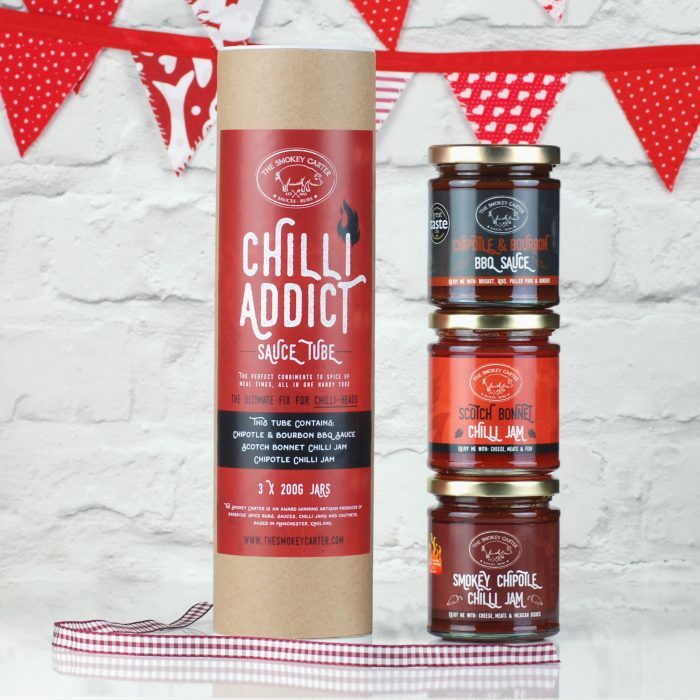 Choose from our range of themed gift tubes including; Cheese Lovers, Chilli Addicts, Up In Smoke, Around The World Rubs, Barbecue Rub & Smoke and Christmas Fruit Chutney Tube. 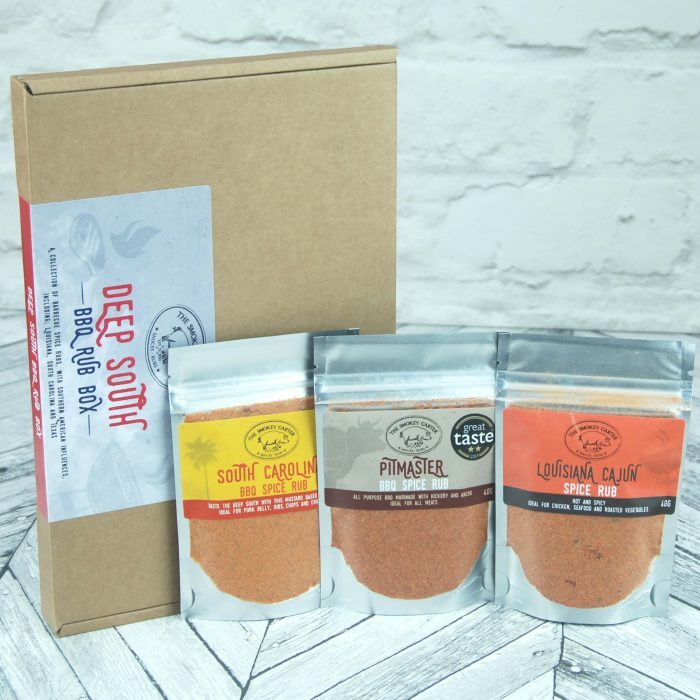 We also have a full range of BBQ rub selection boxes as well as festive favourites such as Mulled Syrup and our Mulled Wine Kits. 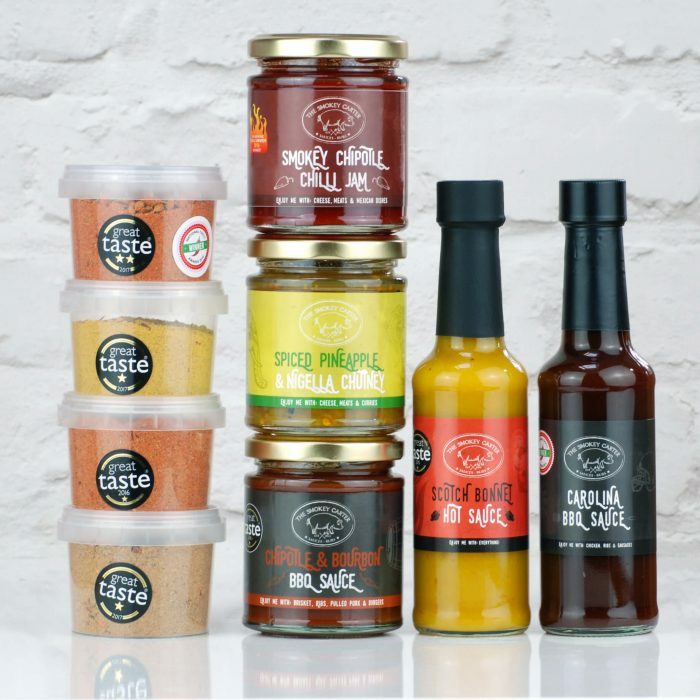 The Perfect gift for the chilli sauce lover. 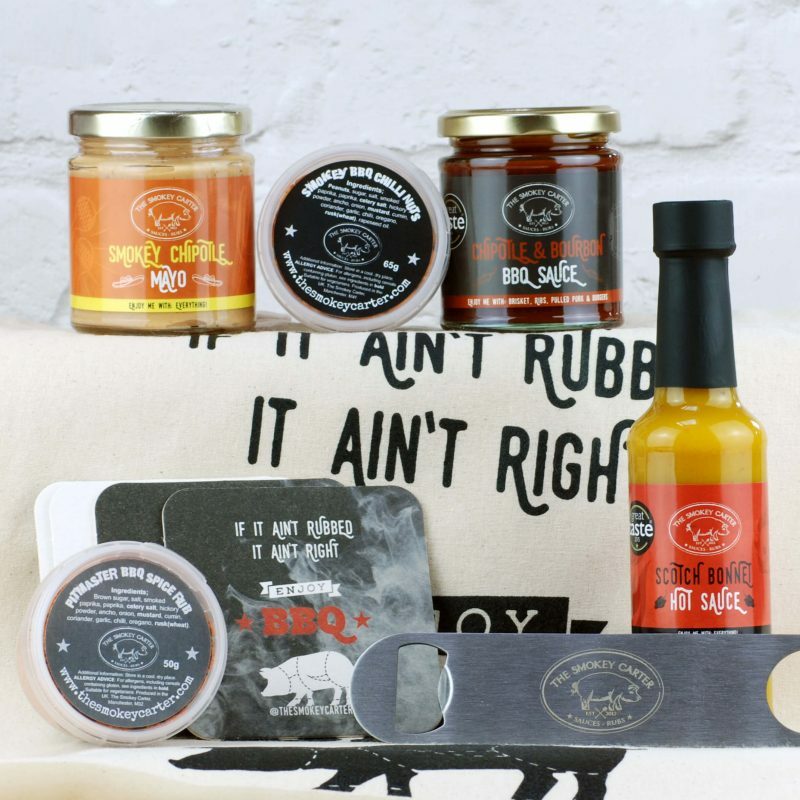 Includes 3 sauces, BBQ rub, chilli nuts, bottle opener, beer mats and branded tote bag. 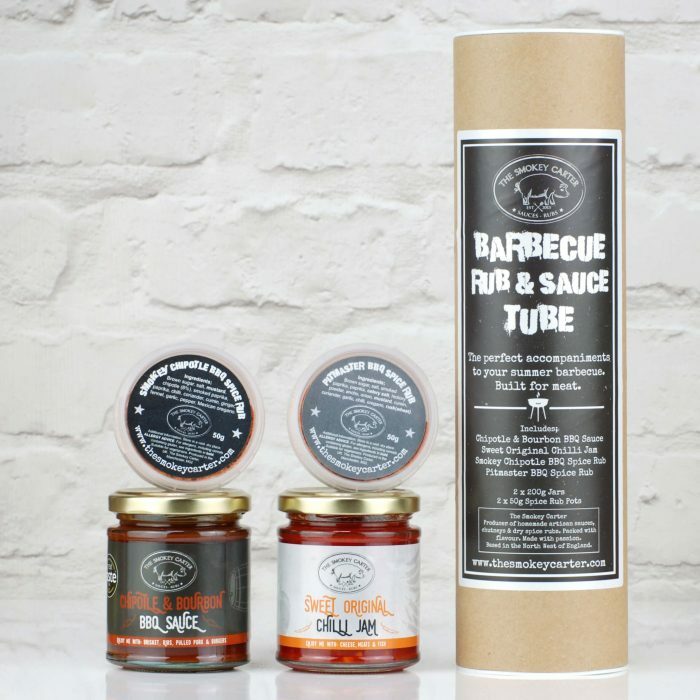 Gifts below – Up In Smoke BBQ Tube (left), Barbecue Rub and Sauce Tube (middle), Chilli Addict Tube (right). 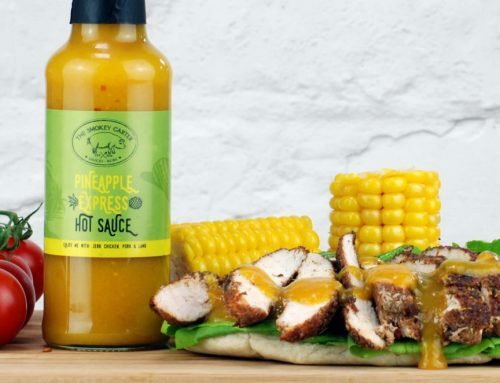 Our mulled syrup is made using an aromatic blend of spices and fruit peel. 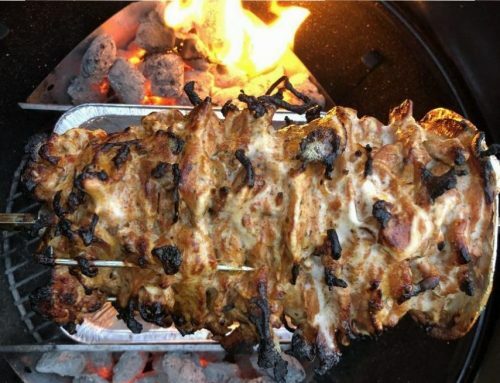 It has a great depth of flavour and is a quick and easy way to make mulled wine or cider. 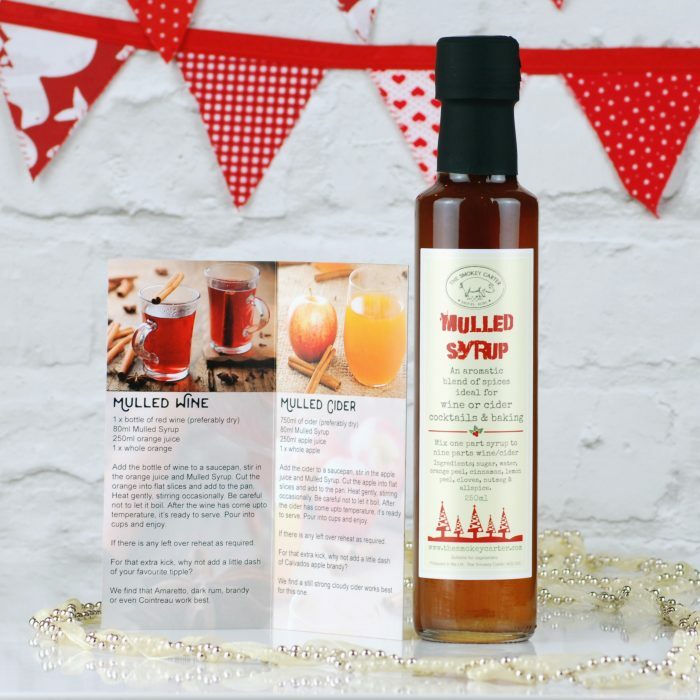 This syrup is not only great in mulled wine but can also be added to Prosecco, cakes, sweet pies, crumbles, tea, fruit juices and cocktails. 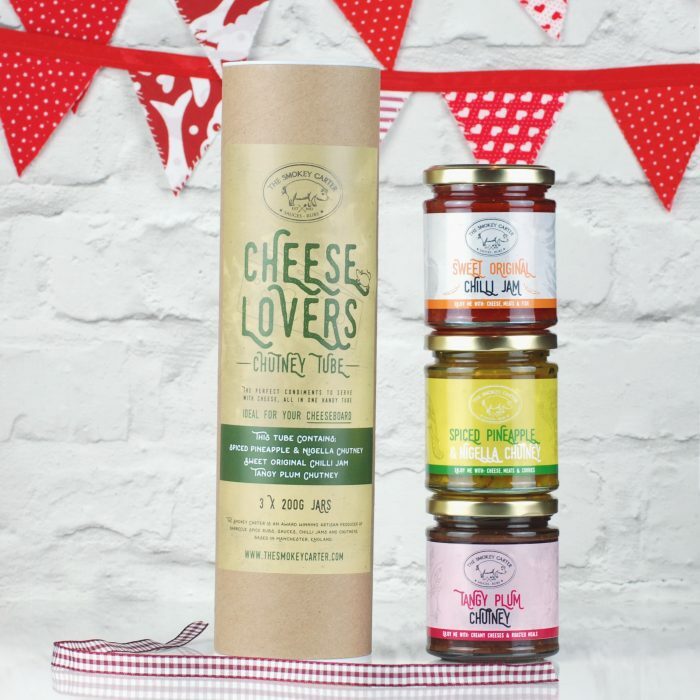 Below – Cheese Lovers Chutney Tube (Left), Ultimate Award Winners Sauce and Spice Hamper (Middle), Award Winners Sauce and Spice Box (Right). 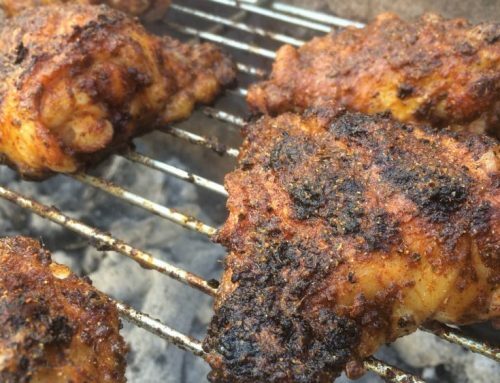 Dry rubs are not just for BBQ season, they work just as well in the oven, on the stove, under the grill or added to stir-frys, soups and curries. 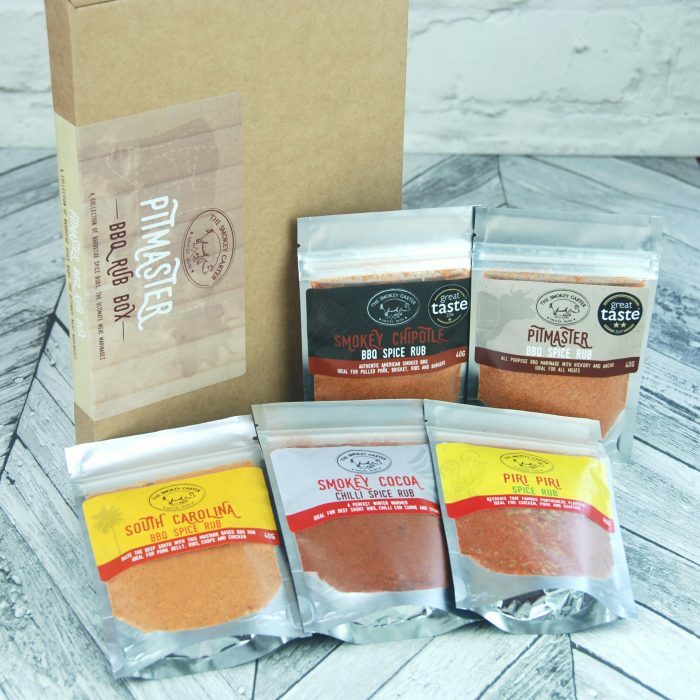 The perfect pressie for both the busy home cook, and the budding connoisseur. 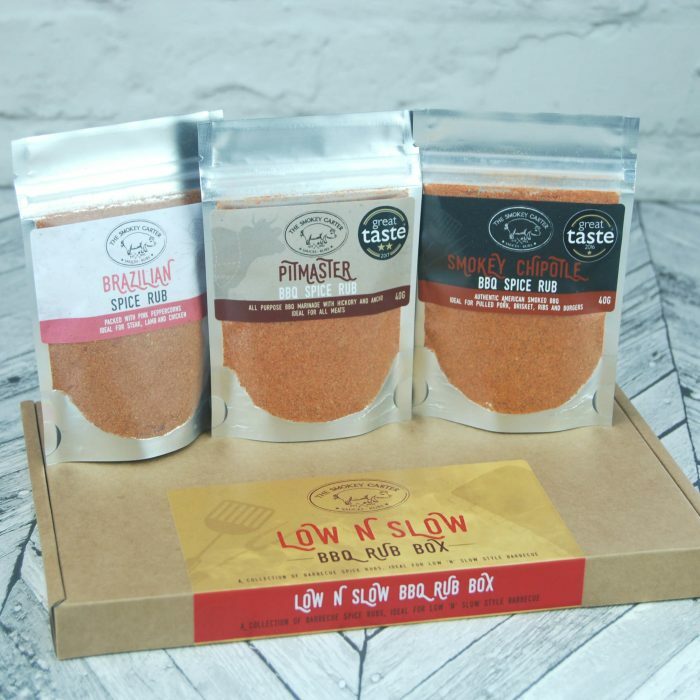 Our dry rub boxed sets come in pack of either five or three 40g pouches; with different themes based around travel & world cuisine. 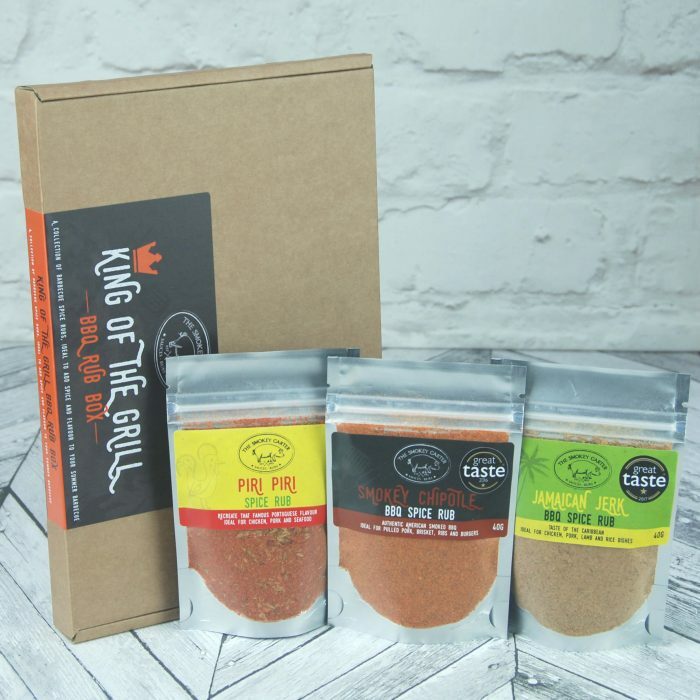 Below – Pitmaster BBQ Rub Box (left), King Of The Grill BBQ Rub Box (middle), Low N Slow BBQ Rub Box (right). 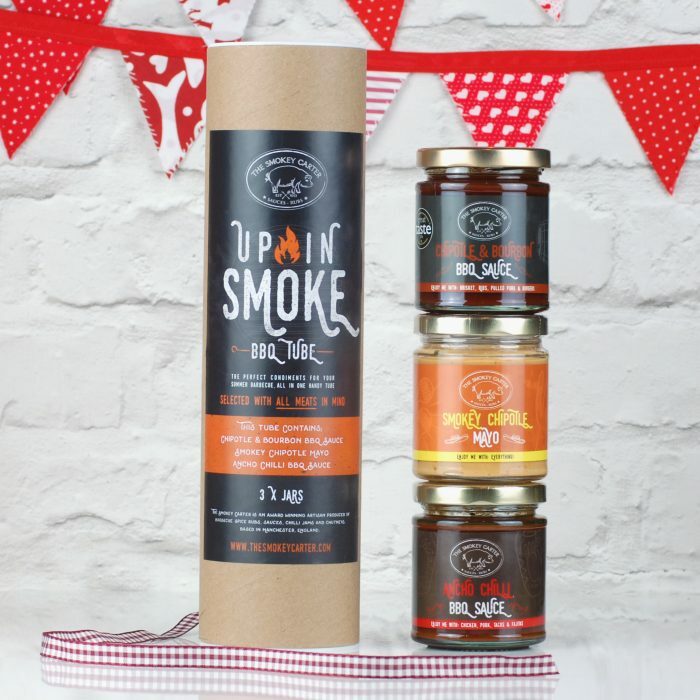 Best wishes from all the team at Smokey HQ.